Standing at 6" in height we have the NECA DC Comics Superman Body Knocker which rocks from side to side when exposed to light. Contact us to confirm availability. 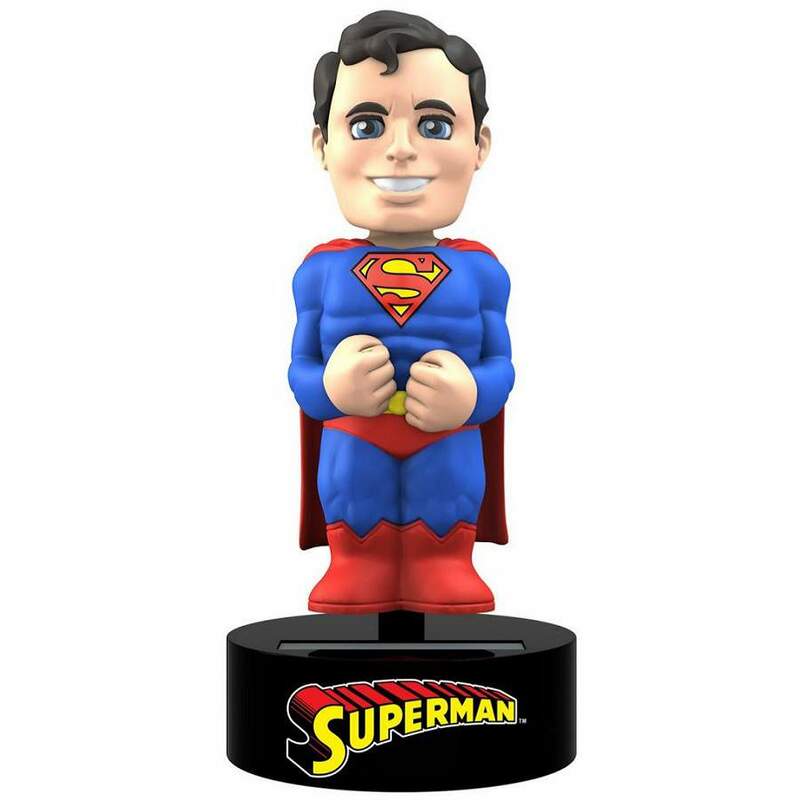 Standing at 6" in height we have the DC Comics Superman Body Knocker which rocks from side to side when exposed to light. Check out NECA's solar powered Body Knockers which will give you hours of enjoyable body-bobbling fun being powered directly by the sun which means no batteries are required. Collect the entire line of Body Knockers and watch your favorite characters dance the day away!